See Chris Meyers video on Tucson News Now. PEBBLE BEACH, CA - Christopher Meyers was in a comfortable position entering the final hole of the Nature Valley First Tee Open on Sunday afternoon. Meyers, a 17-year-old from Canyon del Oro High School, trailed the leaders by a single stroke before teeing off on the par 5 18th hole. A birdie would tie while an eagle could win. Meyers did one better. His second shot landed on the green, bouncing three times before rolling into the hole for a double eagle. The albatross, as it's known, was good for a two-stroke win at the tournament. Asked about the shot following the tournament, Meyers was still in disbelief. "It still hasn't sunk in yet," he exclaimed. "This is just amazing that somehow that ball went in the hole. It's just awesome." Meyers was paired with professional Lee Janssen and carded a final score of 22-under-par. His three day scorecard marked 63, 66 and 64. "I was just stunned," he said in a press conference following play. "I couldn't believe it and thought it just must be meant to be. "The First Tee has been a pretty big part of my life. My parents raised me with many of the core values and being around the coaches have helped it become an even bigger and better part of me." Meyers will attend Stanford next fall after he graduates from Canyon del Oro. He is a top three finisher at state and played in the U.S. Junior Am, Junior America's Cup and was an Arizona Qualifier of Optimist International according to the AIA. Golf runs in the Meyer family as Christopher's mother, Susie, is a former All-American with the University of Arizona. She is currently a PGA swing coach. His father, Dan, was also a Pac-10 golfer with Arizona and is a long-time member of the Tucson Conquistadores. The Tucson Conquistadores contributed $300,000 to build the Roy P. Drachman gym at OTT YMCA. 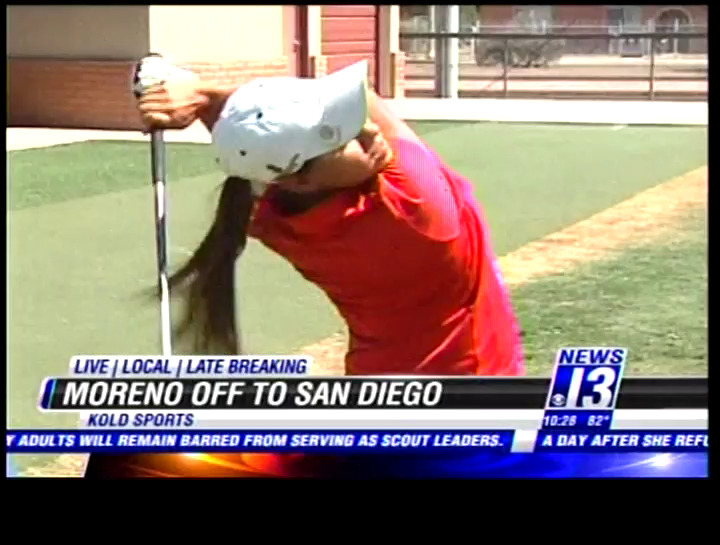 See the story aired July 1 on KOLD News13 through the link below. The First Tee ot Tucson hosted a Father-Daughter golf event in July. See the story on Fox 11 News through the link below. Conquistadores Tournament Inc. is a 501(c)(6) nonprofit organization.